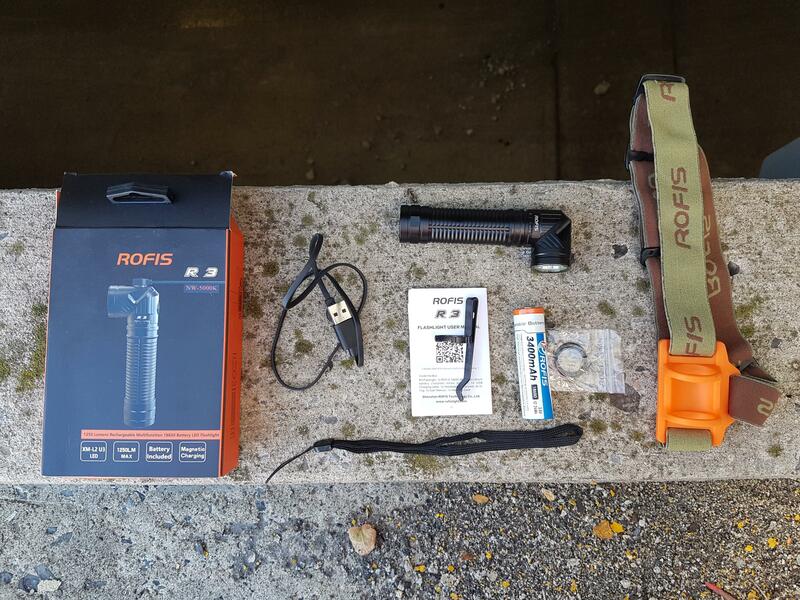 Today I’m taking a look at a review sample of the Rofis R3 that was sent to me directly from the manufacturer. 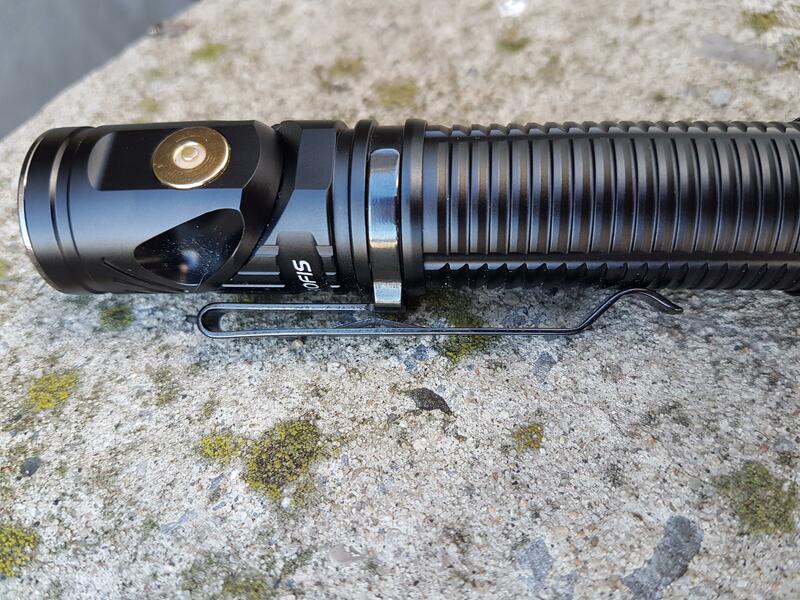 This is a single 18650 tube light with a side switch and an XM-L2 set into a smooth reflector. The standout feature of this light is it’s rotating head, allowing it to adjust from the traditional straight form factor to a right angle setup more commonly seen in headlights. The light also features a magnetic tail and a stainless steel bezel. I love lights that break out of the traditional form factors, and this is no exception. 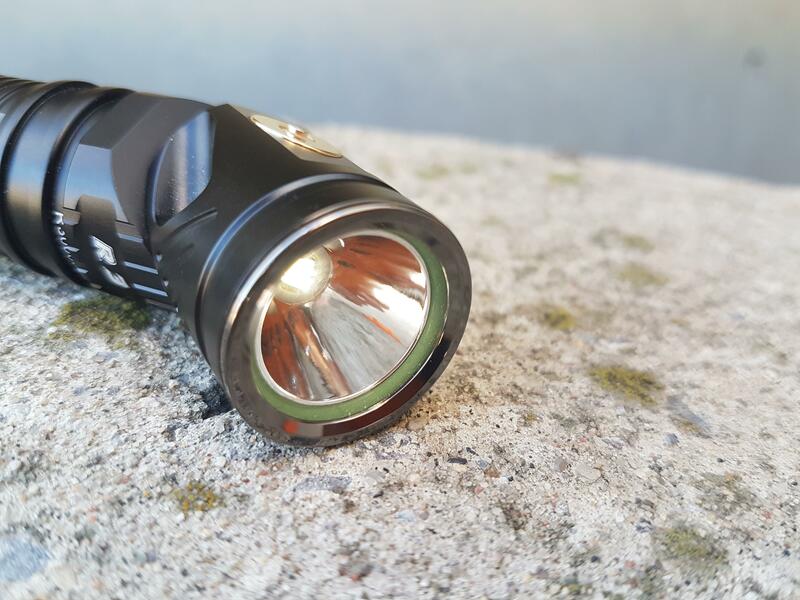 This light is looking to be a jack of all trades, and to fill all of your headlamp and flashlight needs with a single tool. As a right angle light or a hand-held flashlight, I like it a lot. The magnetic tail, clip, and rotating head make it a great work light that you can always shine right where you need it. As a headlamp, I think the weight of this setup makes it less preferable than some dedicated offerings, but the flexibility is appreciated. The beam also is a bit more concentrated then I prefer for this sort of general purpose light and exhibits a bit of tint shift, which is to be expected with most of Cree’s emitters. I see lots of people come to this site looking for recommendations for lights as mechanics, shop workers, etc., and plenty of users try and talk them into right angle lights since they're better to use hands free. This light is really even more well suited to that use, and the straight form factor means it's a lot less strange at first glance. The optics of this light are protected behind a smooth stainless steel bezel. I find lights have a tendency to fall head first when dropped, so I’m always happy to see this harder metal used in place of softer aluminum. 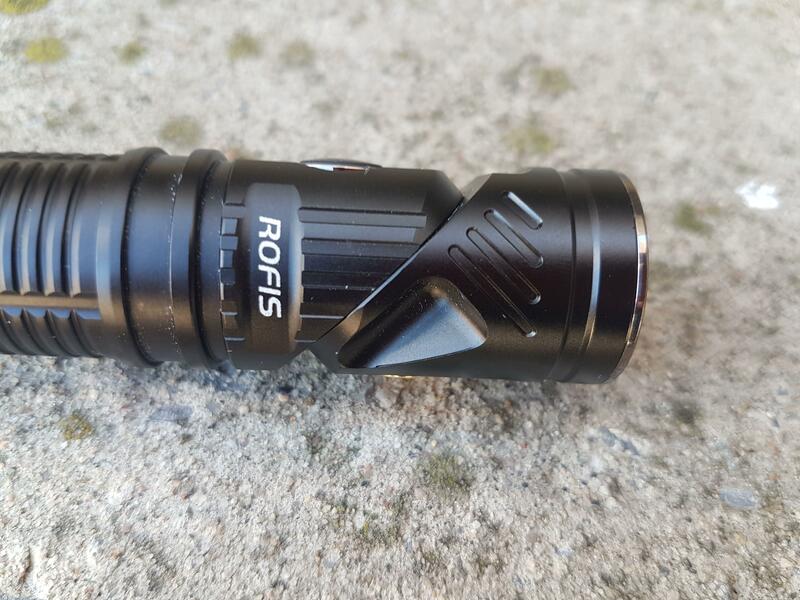 Under the glass, Rofis uses a glow in the dark o-ring to waterproof the light - always a nice touch as well. 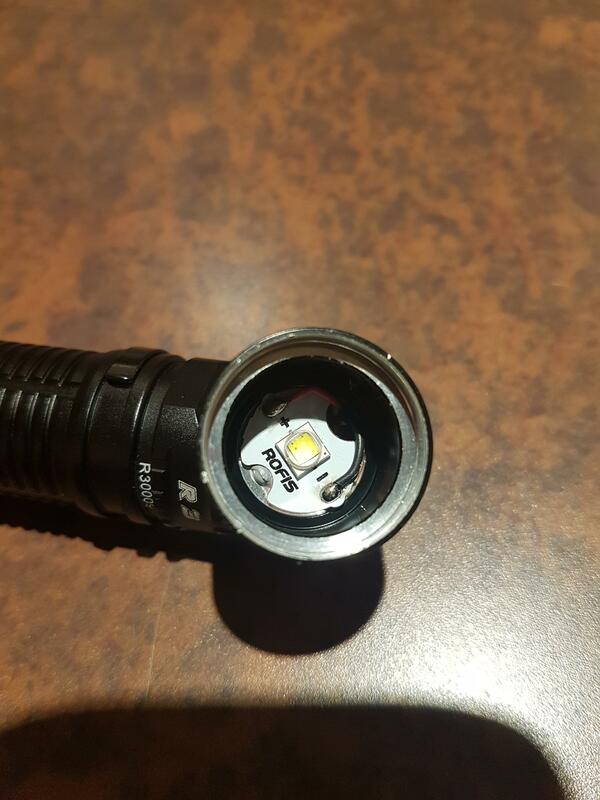 The head of this light also holds the magnetic connector used for charging. Behind the head is where things start to get interesting. There’s an internal hinge that lets the head rotate from 0° through to 90°. 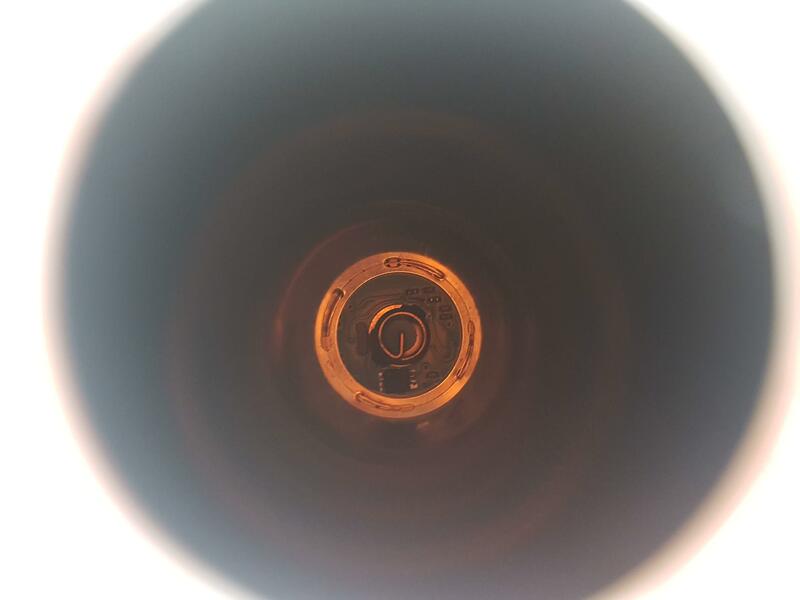 There’s an internal detent at each extreme that holds the light in position, but rotating it to any position in the middle there’s enough resistance in the joint that it won’t move on its own. There’s a small chunk removed from the edge of the head and body sides of this joint that do a great job of avoiding sharp corners when the head is rotated. Opposite the charging connector is the button, a standard electronic switch. This switch has a good feel to it. 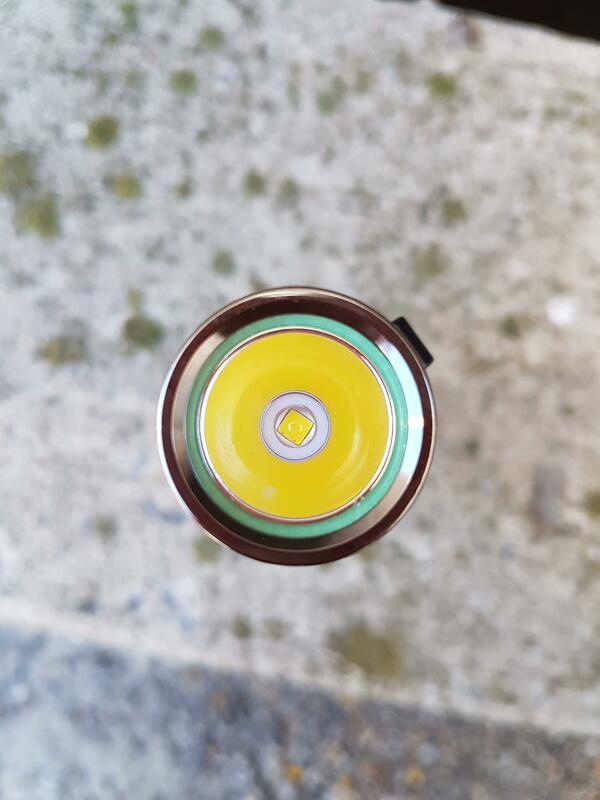 It’s held in place with another stainless steel ring, and there’s a small clear section in the middle to let the indicating LED shine through. This LED is used to indicate lockout, low battery, or charging status. Below this, there’s a a groove around the body to hold the clip in place. The body of the light is ribbed and has 4 grooves cut along its length for grip. 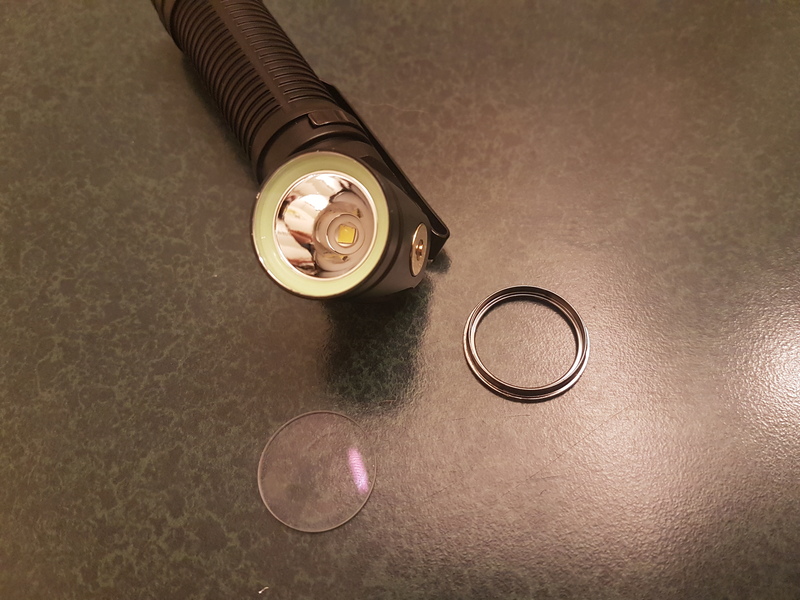 The tailcap of the light has 6 flat sides cut into it to prevent it from rolling around on a flat surface. The end is flat, which allows for tailstanding, and there’s a very strong magnet here. There's a hole for lanyard attachment here, too. 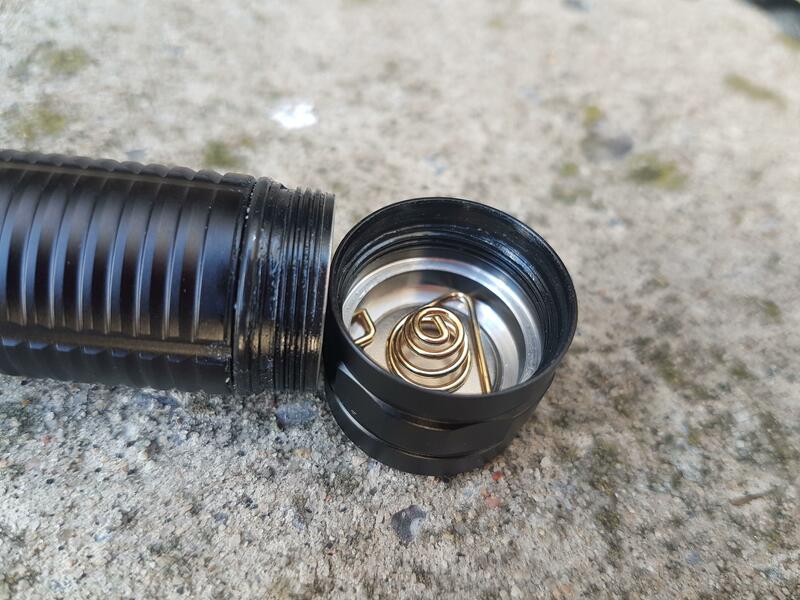 Inside the tailcap, we can see square cut anodized threads. 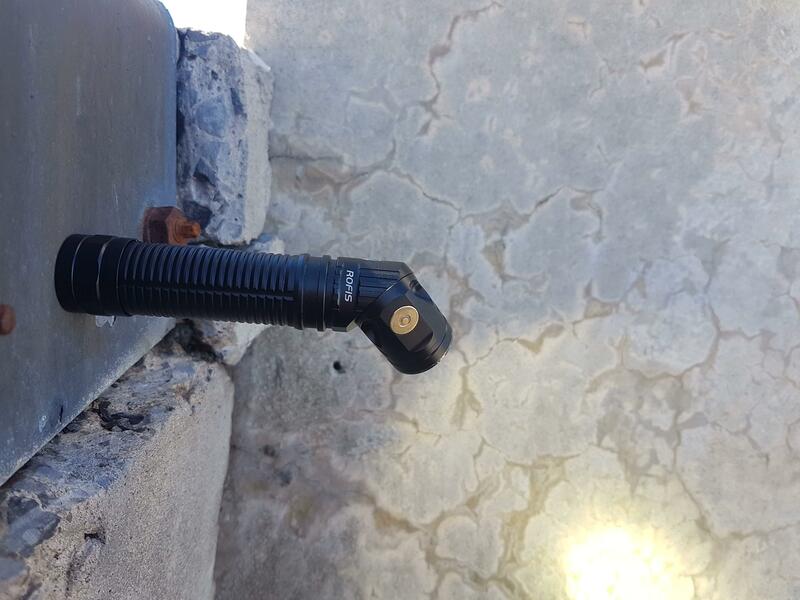 This means that the light can be physically locked out with just a small twist. There’s a thick spring holding the magnet in place in the tail, and another spring at the head of the cell tube. Rofis ships the light in a pretty snazzy package, with a flip-open front held in place with a magnet that opens to give you a peek at the light before opening it. Inside, you get the light itself, a 3400 mAh cell, some spare o-rings, a pocket clip, a headband, a lanyard, some paperwork, and the magnetic charging cable. 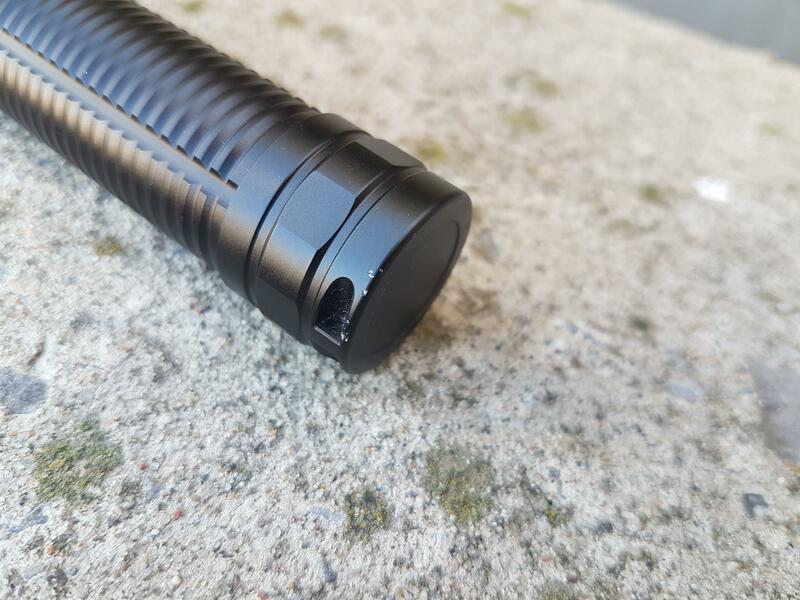 This light is a pretty standard tube shape, and the detailing along the body makes it easy to keep a hold of when used in the hand. The switch is reasonably easy to find thanks to the different texture of the rubber, and the head can be rotated with a flick of your thumb. 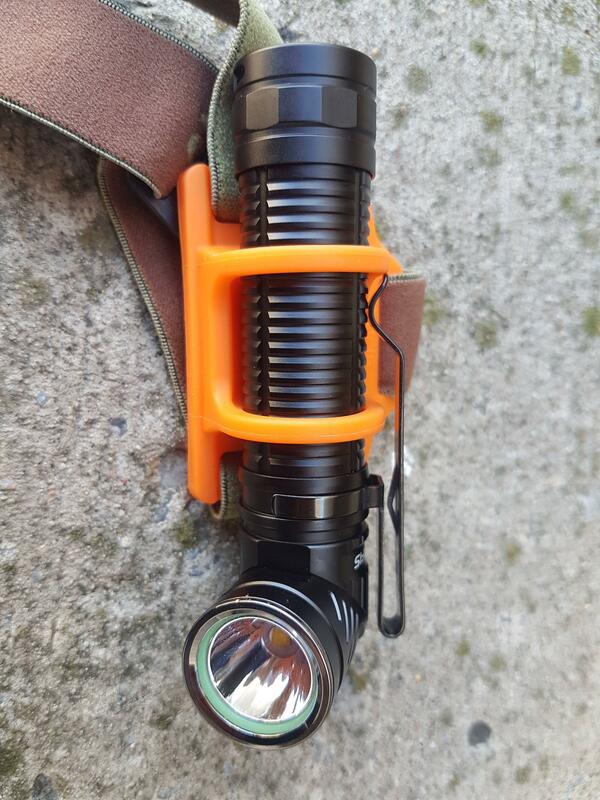 For retention, the included lanyard can be attached to the loop on the tailcap of the light. The magnet in the tail is extremely strong, and has no issues holding the light at any angle. Combined with the adjustable head, this means it’s very easy to shine the light wherever you need it, as long as there’s a magnetic surface somewhere nearby. 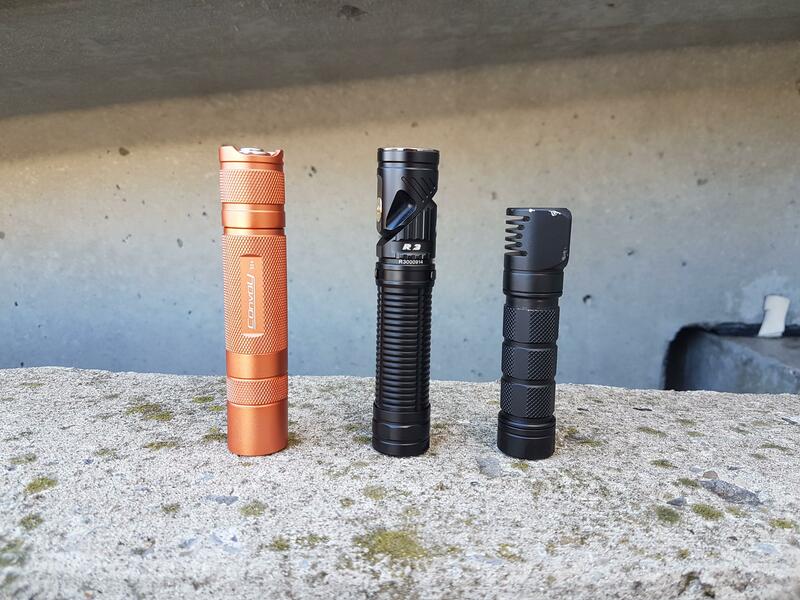 I think this versatility when used as a work light or EDC is the real strength of this product. The clip attaches firmly just below the switch, and supports only head-up carry. The carry is reasonably deep, but will still leave about 2.3 cm sticking out of a pocket. I’m not a huge fan of this clip, as the point where it attaches to the body sticks out from the light a bit, and there’s no ‘ramp’ here to help direct the fabric deeper into the clip. In my experience, the fabric would always get hung up here and need some work to get all the way clipped on. That being said, the clip did a great job of holding the light in place. The included headband is a nice touch. It’s a standard headband with a top strap and a nice orange silicone holder on the front. 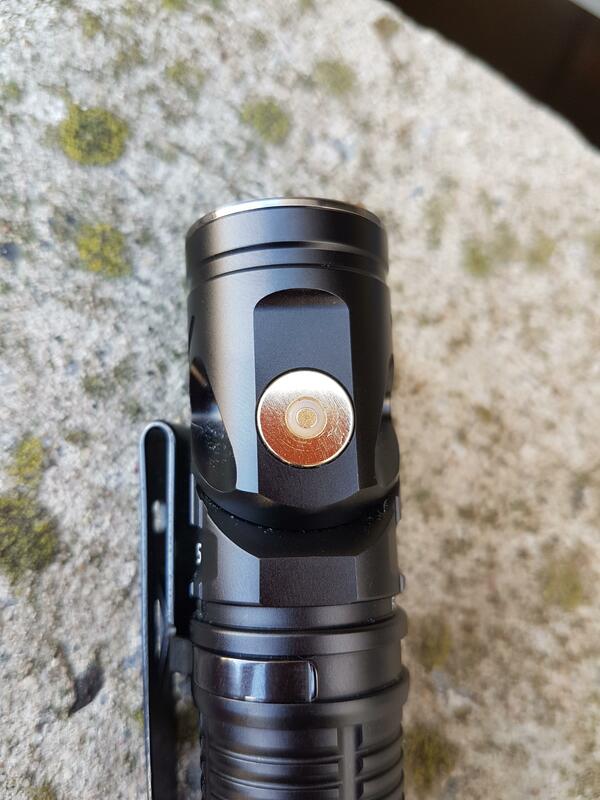 I really like that the design of the light and holder make it possible to slide the light into place without removing the clip. Compared to dedicated headlights that don’t have the extra weight associated with the rotating mechanism, I found this one to be a bit heavy on my head. It didn’t bounce around too much and, continuing with the theme of a work light, I doubt it would be noticeable if worn over a headlamp, but it’s not necessarily the first light I would grab to add to a backpacking setup. The button also sits pointed towards your head and can be a bit hidden depending on the angle the light is rotated to. I think this was a necessary design choice, since putting the button on the head would have made it easy for it to twist away when you were trying to use the switch, but it’s definitely a compromise. This light has a one button interface that I like a lot, with all my favorite features. A single tap of the switch will bring the light on in any of the last used main modes, and another tap will shut it off. While it’s on, holding the button down will switch modes. From off, a longer press will activate a very dim moonlight mode. From either on or off, a double tap jumps straight to the turbo mode. I have a few lights with this sort of interface, and I think it’s perfect. If you continue to hold the light from off, the LED will blink twice and be locked out. It can be unlocked by repeating this long hold, and if you press the button it will glow red to remind you that it’s locked out. There are hidden strobe modes that can be accessed with a triple tap from any mode. I never use these, so I like to see them hidden away, The two modes are standard strobe, and SOS. 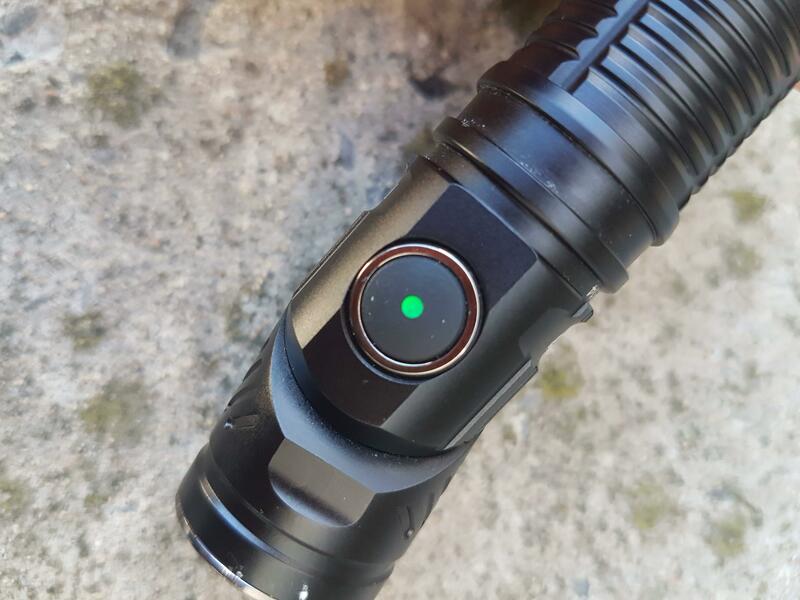 When the cell is first installed, the switch LED glows to indicate cell charge. A green light indicates charge over 40%, and a red light indicates lower charge. This light uses a XM-L2 LED that’s perfectly centered in a smooth reflector. The sample I received is labeled as neutral white 5000K, but seems warmer to my eye. There’s a cool white version available as well, and it’s always great to seem manufacturers offering multiple CCTs to meet different preferences. 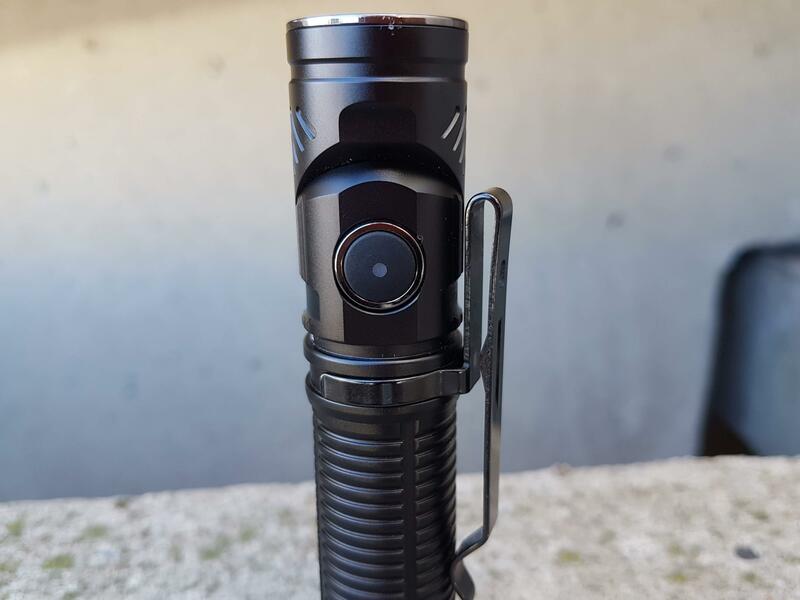 The beam has a bit more of a spot than I would prefer for a general purpose light like this, but that does mean it has a reasonable throw for the form factor - the factory spec rates it at 194 m. There’s also a bit of tint shift noticeable in the beam, which is to be expected with most domed Cree emitters. Testing was done with the included cell, labeled as 3400 mAh. This was done as I expect most people that purchase this light will planning on using the cell that comes with it. The included cell is a protected button top, but the springs at both ends of the light mean that flat top cells should work just as well. Rofis doesn't claim support for any other cell configurations in this light. The light uses a timed step down from turbo to high after 1 minute. Some people don’t like this behavior, but it can be an effective way to prevent running out the battery too quickly. After the stepdown, the light ran on high for over 2 hours before stepping down again to around 20% of turbo. After 3 hours, it stepped down to 2% and stayed there. The light did not shut off, but I stopped the test when the indicating LED was showing that the cell needed to be charged. After each step down, you can see that the output is well regulated and stable. The charging cable included with the light has a magnetic connector on one end and a standard USB-A connector on the other. The magnet is strong enough that simply bring the light close enough will snap the connector in to place. While the light is charging, the indicating LED under the switch glows red. Once complete, the LED switches to green. Thanks for the review. I like it. 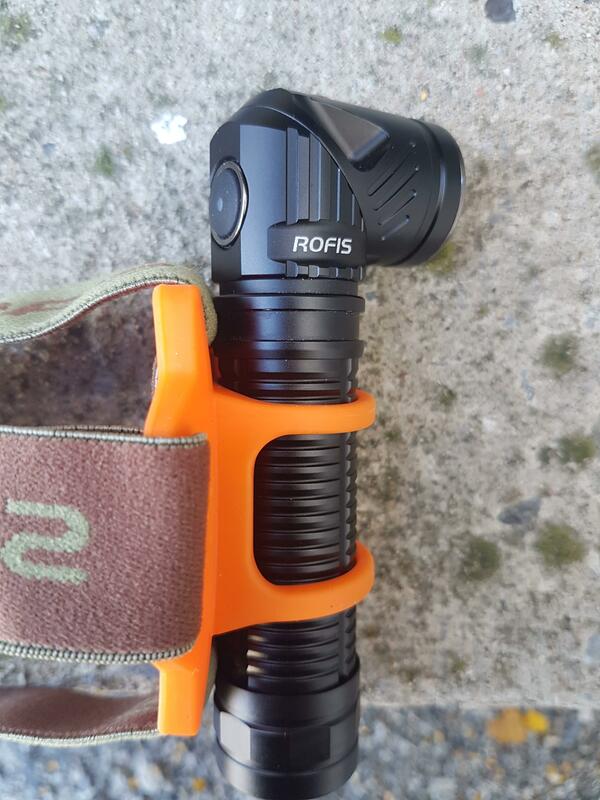 Is this the newest addition for Rofis for multi angle lights? I’m looking for this type, but they offer so many versions. I suspect the newest one has the best improvements. 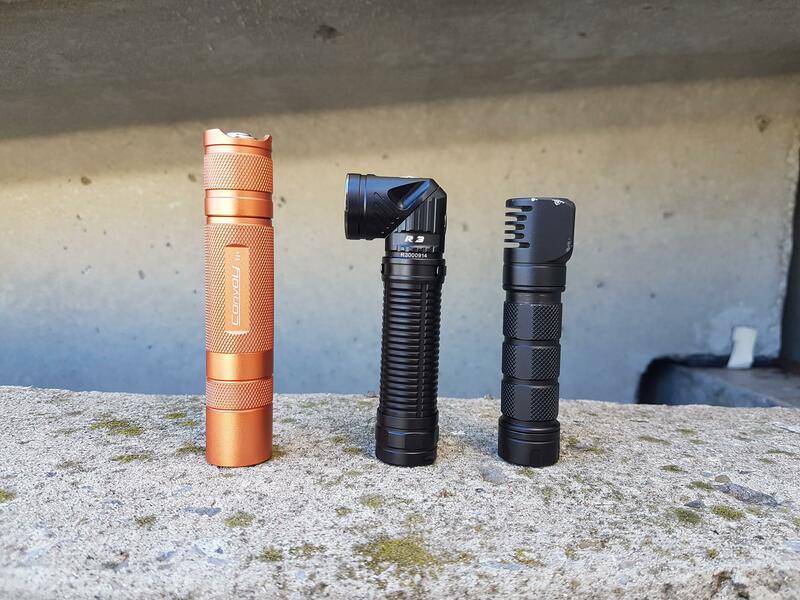 The R1, R2, and this R3 are their latest adjustable angle headed lights. I hv the R3 and love it. It’s so versatile. I hv the Skilhunt and this is obviously more versatile and has a stronger magnet. My only (-) is that its a bit longish, wished they could remove the on board charging and provide the batt with built-in usb charger. This could probably make a light a lil bit shorter/smaller. ...or just whatever happens to be in your pocket when you get bored and decide to test this out. 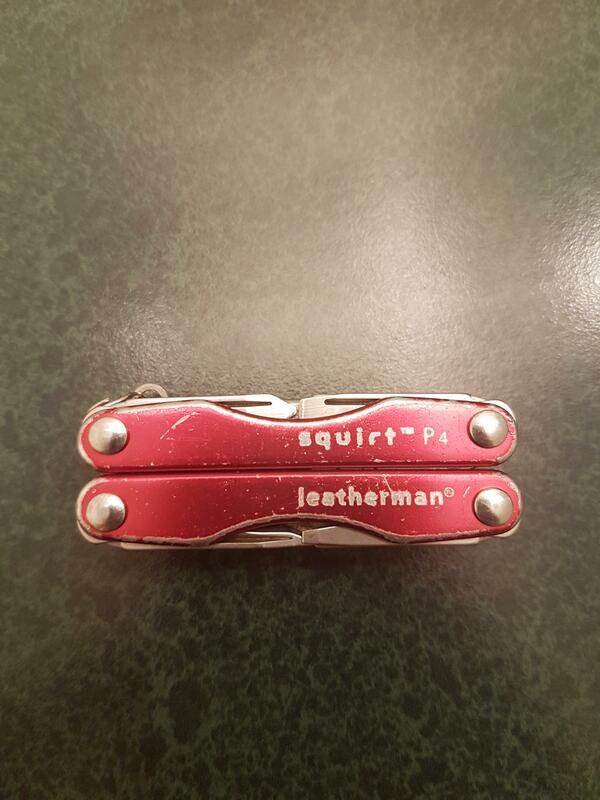 I levered a small tool behind the bezel and worked up to thicker tools until prying it off. There was little resistance, and this was quite easy to do. I ended up with a few small marks behind the bezel, but this could have been avoided with some more patience. There was no glue holding the bezel in place. Which reveals the MPCB. The soldering job here looks great, and there's a good amount of thermal compound. The stock MPCB has two tabs to align it, but I see no reason why a swap to a standard one would cause any issues. I’m personally thinking of trying one of those Samsungs. I also disassembled mine because the hotspot contained some not so conspicuous but still noticeable unevenities. 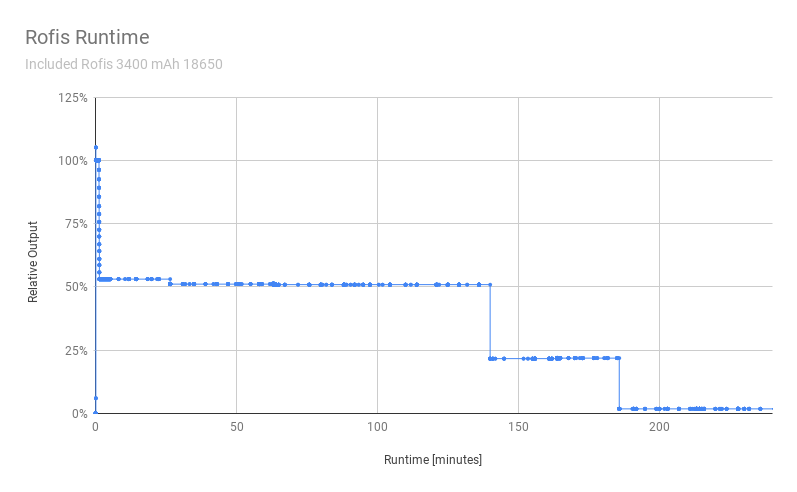 So I decided to investigate the possibility of emitter adjustment / replacement. Testing the reflector with different setups, it was clarified that the original spacer gasket is too thin. It has a thickness of 0.5mm. I stacked a small tailored part of PVC foil ( 0.35mm thick ), and now the spot is tighter and perfectly even. This is a good solution for those who would like to see more throw from this light. XHP50.2 ( 3V version ) and XP-L2 can provide the same spot quality but with the same or slightly larger hotspot size ( for those who prefers flood performance ).